Today project features the fun and whimsical Stampin’ Up! 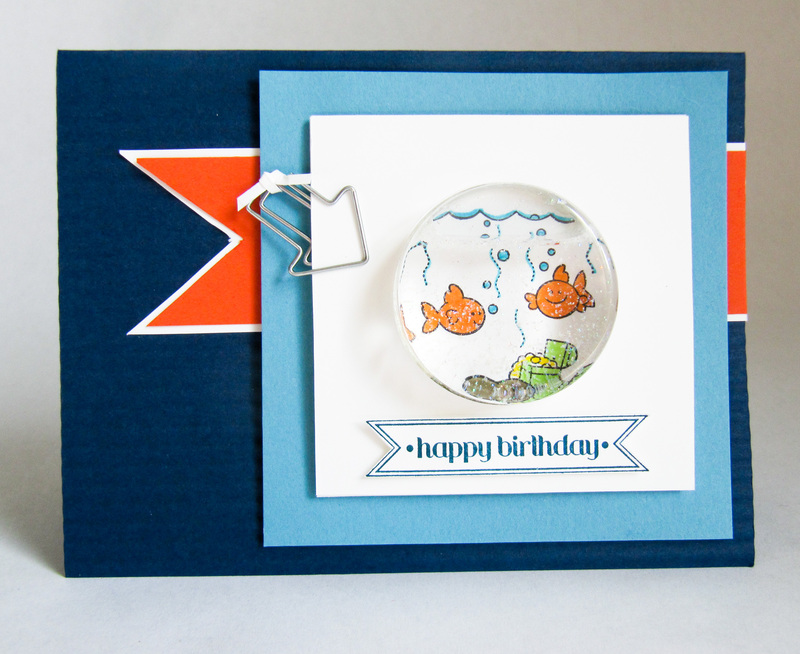 Fishin’ Around Stamp Set. This card has real water in it!!! Ok, so this cute little guy was not my idea. 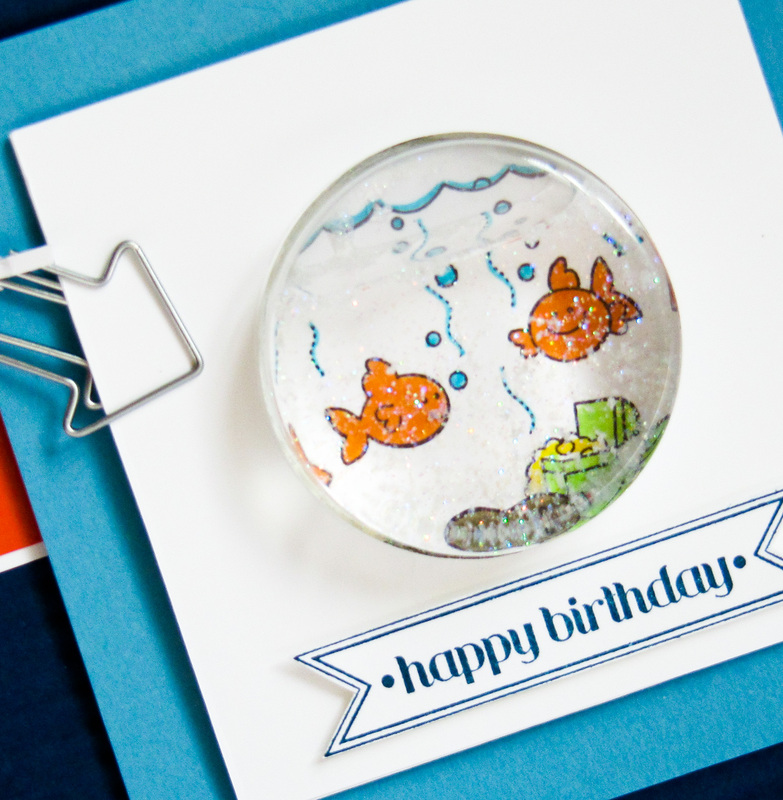 As you look through your Stampin Up catalog… keep an open mind. You’ll find LOTS of inspiration throughout! My card was inspired by page #58 of your Stampin Up catalog. 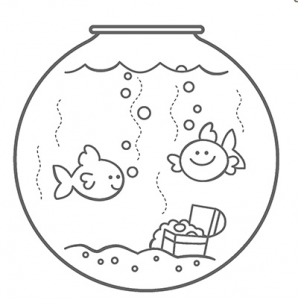 Check it out on Pg 58 or Order Fishin’ Around Here! How did I make this fun card? Well, its actually pretty easy. The first thing I did was crimp my night of navy card stock. This gives the base character. 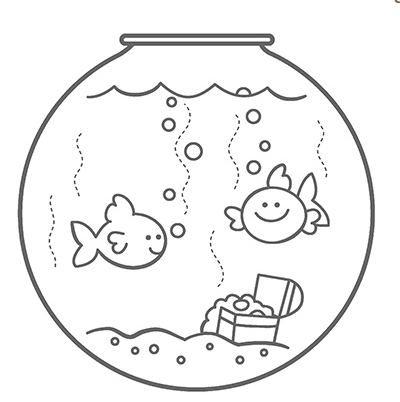 Next, I stamped my Fishin Around on whisper white with StazOn black. I then colored the image with Stampin Write Markers. Next, cut a 3″ x 3″ square. To fill your treat you will need to pull off the white strip off the outside of the treat cup. Then fill it up with water. I used a bottle of water so it was easy to pour. I also sprinkled a bit of dazzling diamonds in the water. I then used a glue gun to put a big, thick glob of glue all the way around the edge. Keep in mind… you want it to be thick so that after it dries your water doesn’t link out. While your glue is hot put a acyclic piece of over the top which will seal the water in the treat cup. Now its time to create the white square to put around your treat cup. Use your 1-3/4″ circle punch to punch a hole in the center of the 3″ x 3″ whisper white square. This will fit over the top of your treat cup. I used stampin dimensional around the treat cup so that it would pop up the white… I didn’t want it to lay flat because my plastic was a little warped. If it looks weird you can layer another square on the top of the first one. This should do the trick! Need a Stampin Up Catalog and Holiday Mini? If you don’t already have a Stampin Up demonstrator and are interested in a Stampin Up catalog let me know. I would love to earn your business! You can contact me through my “Contact” page above. Hope to hear from you! I love it! I can’t wait to get this stamp, the boys are waiting to make thier cards too! Love it! I also like how you put the strip of Tangerine Tango behind the white square. Makes the card really pop! I love the card and concept, my concern/question is, wouldn’t the paper start to get soggy from the water? There is a window sheet glued to water cup so it won’t leak and get the card soggy. Video of this would be awesome! So cute! Could yall please check out my website too? Thanks! As always, so stinkin’ adorable. I’m going to case! So cute and a fun card to receive. Gotta try this. awesome awesome…. super cute card. I love this – it’s really cute! I love this card!! It is too cute! !